When simplicity is the essence of your business model, clients and owners benefit. Clients want a predictably wonderful experience with every visit. And you want a business that takes the guesswork out of daily operations, so you can focus on growth and creating a solid, profitable enterprise that will thrive for years to come. At Elements Massage® we're working to achieve both with impressive results. Founded by a massage therapist, Elements Massage® provides therapeutic massage. Different than the day-spa experience, we serve clients who value massage as a way to boost immunity, ease muscle aches, minimize stress, encourage sound sleep, and alleviate issues stemming from injuries, illnesses, or stress. Our affordable membership model helps clients prioritize a service that they already value, so that self-care stays top of mind. 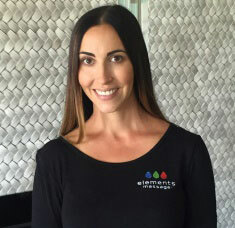 As an Elements Massage® franchisee, you'll be part of a vibrant and fast-growing segment of the wellness arena, maintained by training and systems that will support your growth and help you stand out in your market. Recurring Revenue. Applicable to just a handful of lucky businesses, recurring membership models foster a predictable, steady revenue stream. Focused Concept. We do one thing, and we do it well. With a clear, focused position on therapeutic massage, our position corresponds with a big consumer need in the market. Coveted Spot in the Wellness Community. As a natural partner to the expanding health and wellness industry, you'll find a wealth of referral opportunities that will benefit your clients, your community, and your own bottom line. It's the perfect time to secure your place in what some observers are calling "the next trillion dollar industry." Easy Appointment Setting. The Elements "service path" helps us get to know clients better, from which therapists they prefer to which days of the week work best, so they never miss out on treatments to do last-minute requests. Simple Billing. The Elements monthly membership model is a win-win for clients and owners, allowing clients to enjoy regular massages at a discounted rate and owners to achieve sustained and stable growth. A Predictable Experience. Our model emphasizes great communication before, during, and after service, so we better understand expectations and are able to deliver the predicable, yet customized, experience that clients expect. Led by one of the most experienced franchise management teams in the retail massage industry, the Elements Massage® level of support is unmatched. As an Elements Massage® franchise owner you will have access to our operational platforms, training materials, and most importantly a team of dedicated franchise support experts. Looking for more information about Elements Massage? Take a moment to fill out our quick information request form.